I was recently introduced to Wicked Good Vibes Apparel Co, when I won a $15 credit to their online shop from a giveaway on Much Most Darling. After receiving my shirt, I loved it so much that I applied to be a Brand Enthusiast and they selected me for the month of December! Wicked Good Vibes Apparel Co is based in Wausau, Wi and is run by Britnie, who is a sweetheart and so easy to work with. They specialize in screen printed graphic tees using eco friendly, water-based inks. They have unique designs that are fresh and funky and they are constantly adding new designs, like Christmas ones! They carry a variety of shirts for men, women, and kids in sizes from 6 months up to 3XL. You can choose from tees, tank tops, sweatshirts, and youth leggings; then you get to choose your shirt color and ink color. They have even recently added some home decor items to the site, that are one-of-a kind. 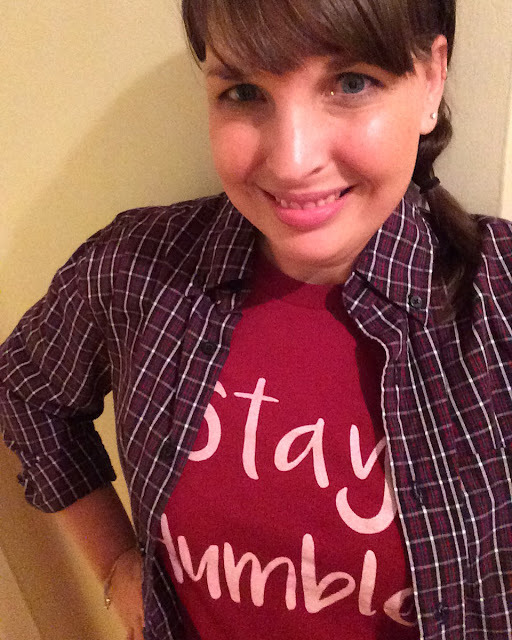 All shirts are made to order, so it is customized just for you, which is the fun part! I had a hard time picking the shirt designs, much less the colors! 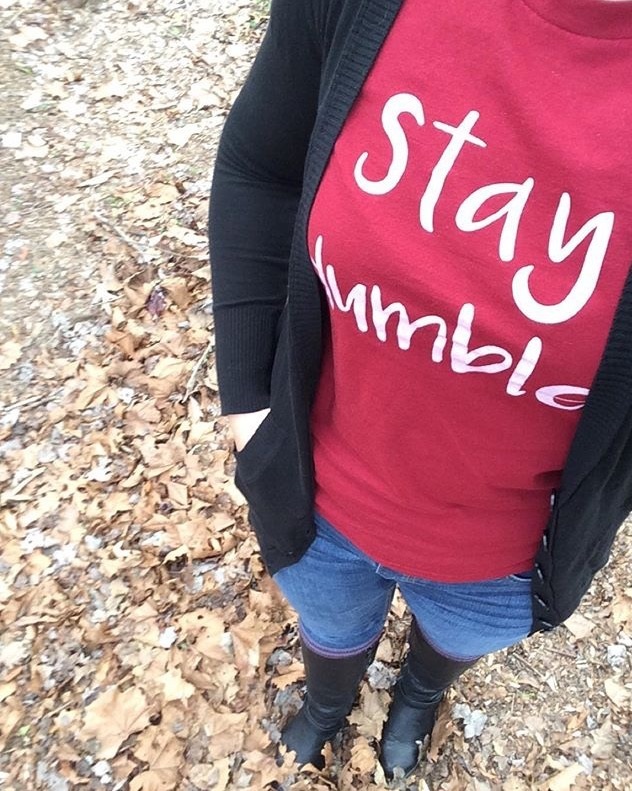 The first shirt I picked was the "Stay Humble" design in a burgundy tee with white writing. The tee fits like a baby doll tee, as it was snug on me in a size Large. The other shirt I bought was a racerback, flowy tank. I was having trouble picking a design until I saw a new release on Instagram, and I HAD to have it!!! 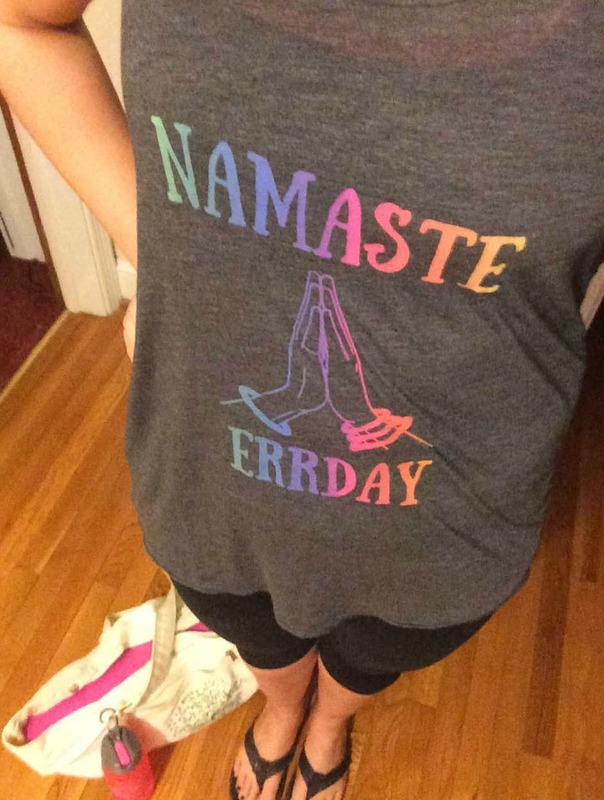 It says "Namaste Errday" and I chose the dark grey with rainbow ink. It turned out so beautiful, and the fabric of the tank is so soft, I could live in it! Their pricing is very reasonable for handmade items, ranging from $15-$23 for the tees. They also have recently added a tee of the month club, which is a 3-month subscription, that makes a great gift for any occasion! Make sure to follow Wicked Good Vibes Apparel Co on their Instagram, Pinterest, and Facebook to find out about sales and specials and all the new designs available on their website! Even though I received a discount due to being a Brand Enthusiast, all opinions are my own. Will make sure to check out Wicked Good Vibes! Thank you for reading! I love fun tees and I love supporting small businesses! Fun tees! it's great to support smaller businesses! Thank you for reading and commenting! I love these fun designs and supporting other women! I'm going to check out this company. I love finding local (ish - I'm from MN) companies. I love their designs and they are always adding new ones. They also recently started making gorgeous bead bracelets! Tees that say something meaningful are the best ones. Good finds! Thank you! I love these designs too! Thanks so much for your comment and inviting me to join your link up. I am headed over now to check it out! great shirts!!! so glad you linked up with us this week!! Thanks for having me! All her designs are so fun!